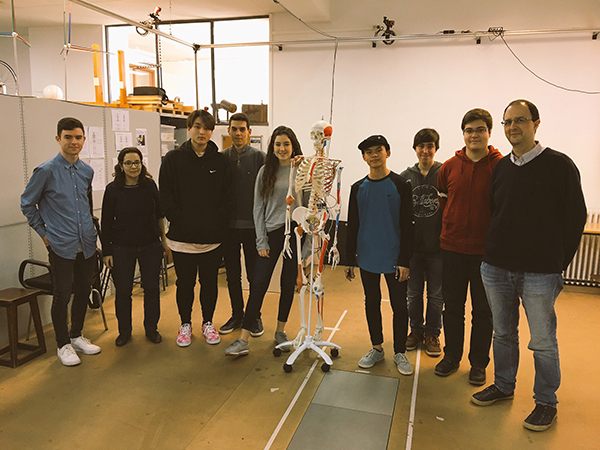 Now that the academic year 2016-2017 has finished, it’s time to remember and summarize the outreach activities organized by the BIOMEC Lab team during this course. 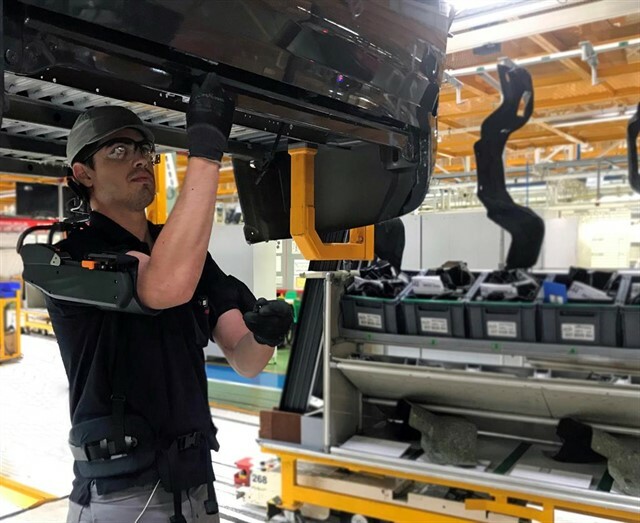 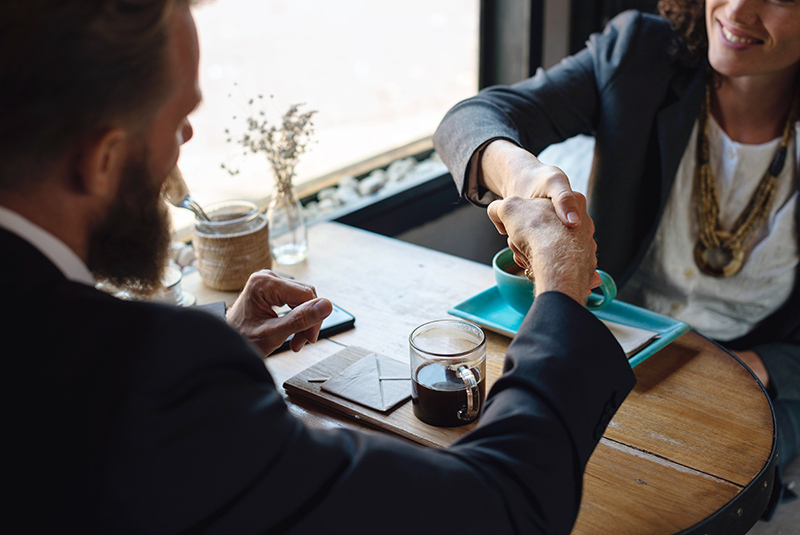 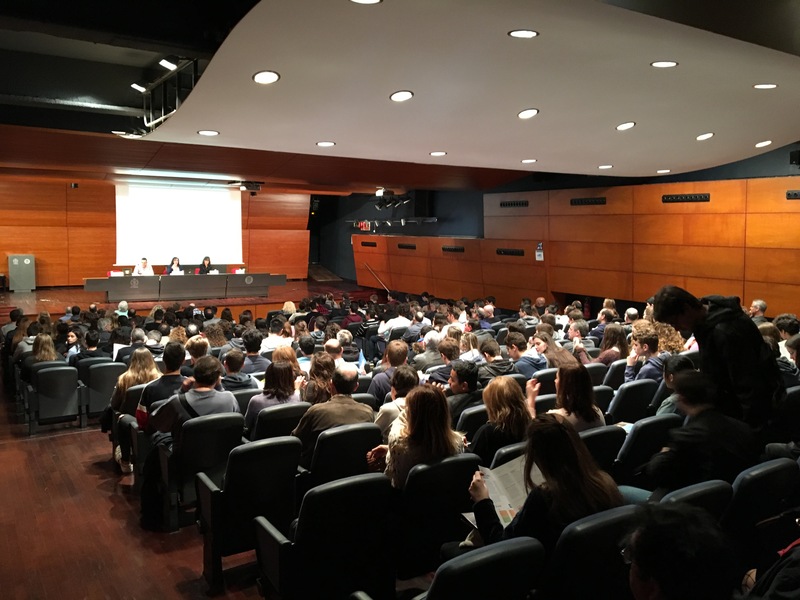 On April 1st the Barcelona School of Industrial Engineering (ETSEIB) organized the Open Doors Day, which provided a chance for future students to find out more about the university. 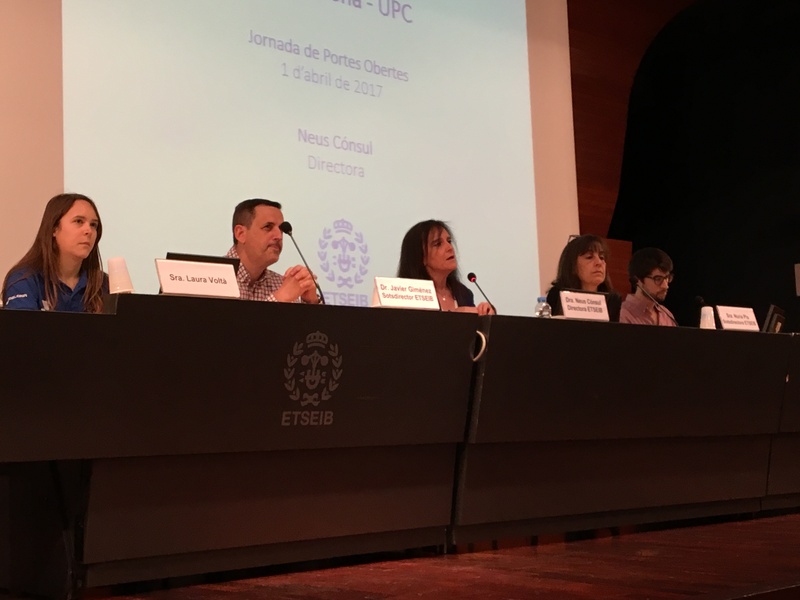 The session was divided in two parts: first, a welcome speech presenting the school and its curricula given by Neus Consul, Dean of the university, and two members of the University Management Team, Núria Pla and Javier Giménez. 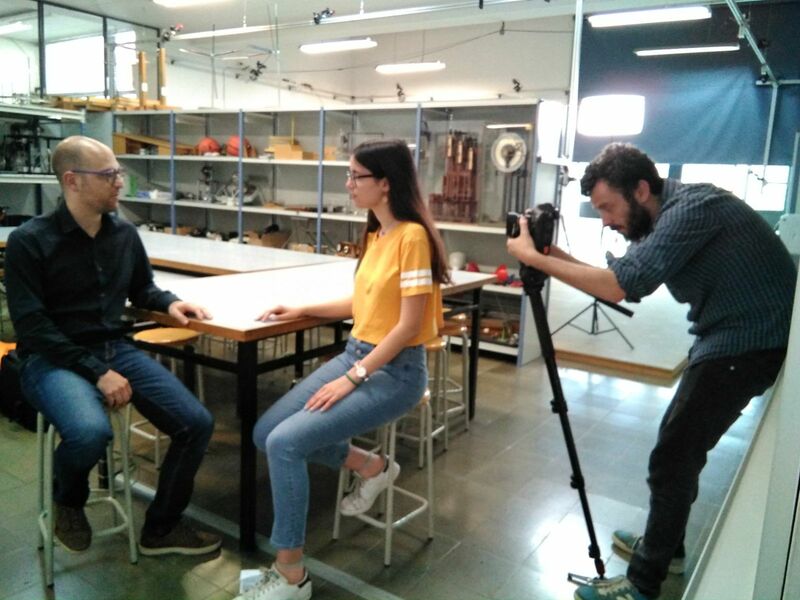 Then, ETSEIB alumni Laura Voltà and Alfons Carnicero (member of the BIOMEC Lab), shared the experiences of their university studies, the Bachelor’s and the Master’s degrees respectively. 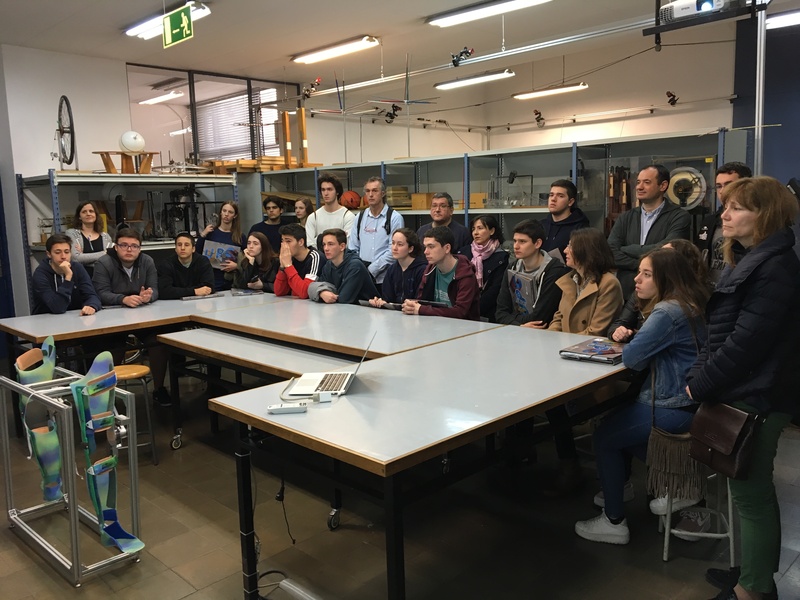 Second, the participants visited the university facilities and laboratories, where teachers and researchers gave a brief explanation of their activities. 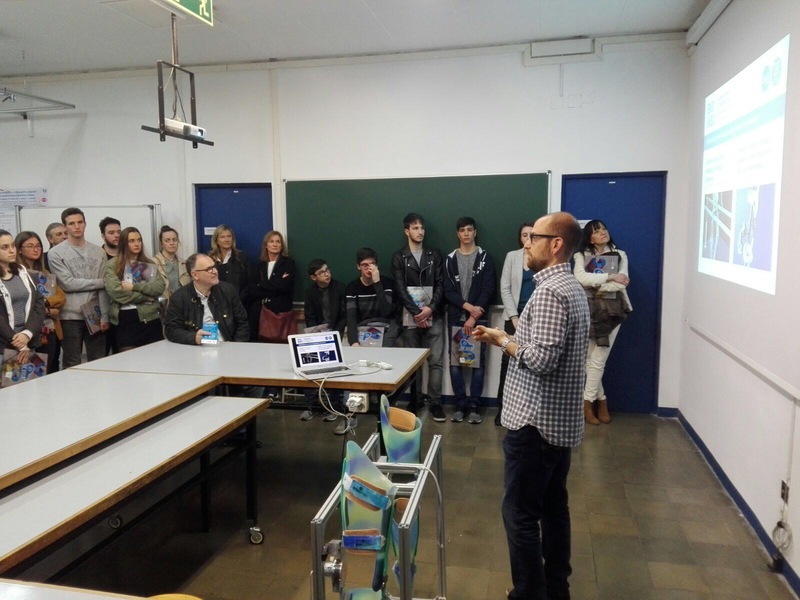 There, Josep Maria Font, Director of the BIOMEC Lab, and Alfons Carnicero disseminated the research performed at the lab among these future students. 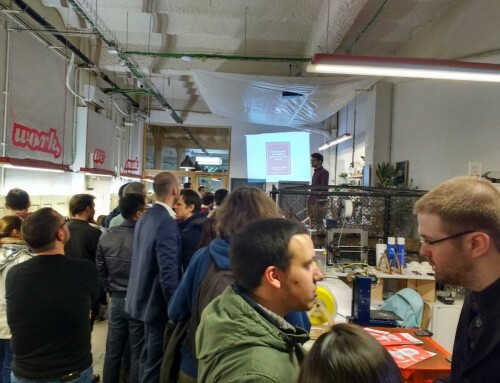 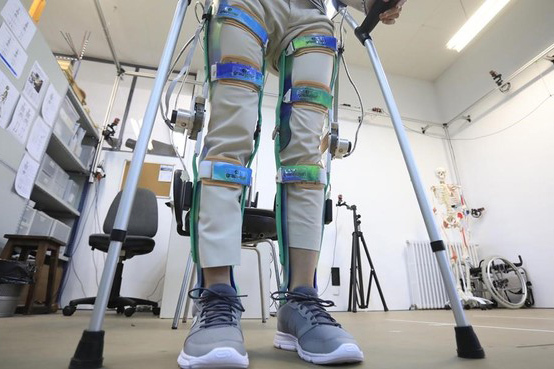 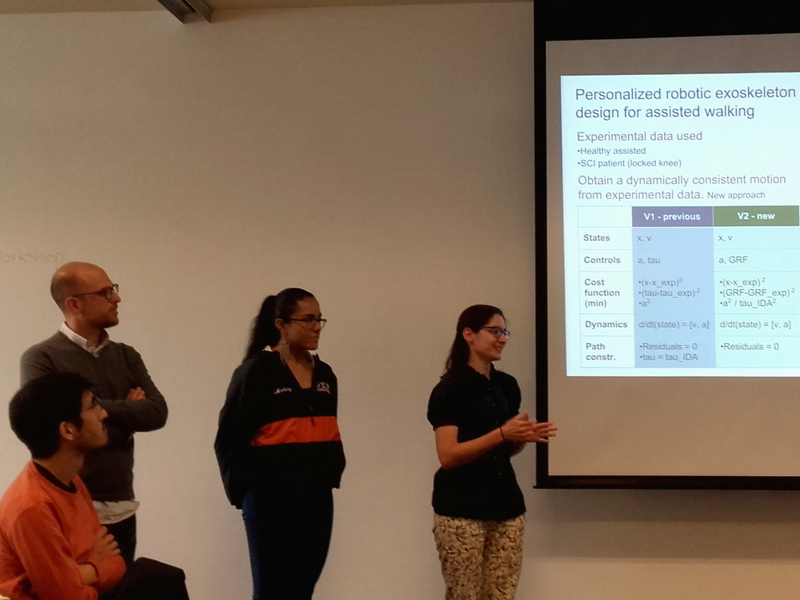 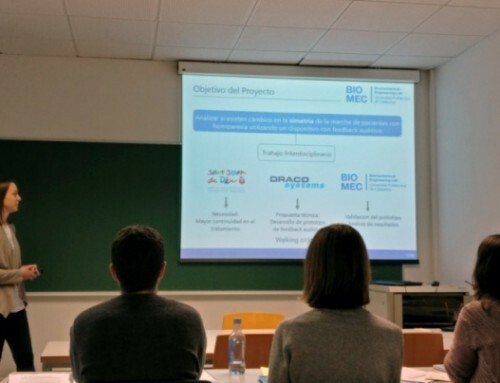 Furthermore, on April 5th and within the framework of the Universitat Politècnica de Catalunya (UPC) Open Doors Day, the BIOMEC team presented the work carried out by the group to different groups of students. 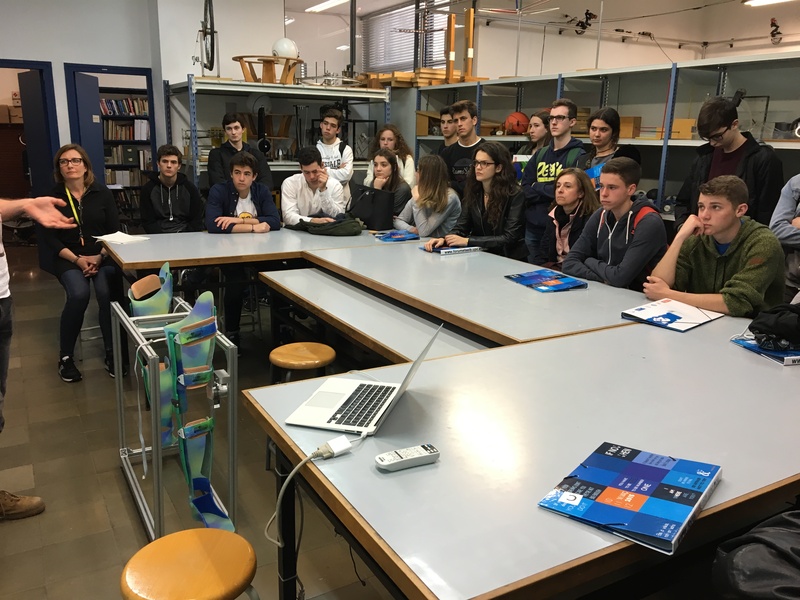 BIOMEC Lab was present at the UPC Robotics Week, an initiative involving different schools, universities and research centers held from February 16th to 18th, with the objective of disseminating robotics among primary, secondary, High School and vocational training students. 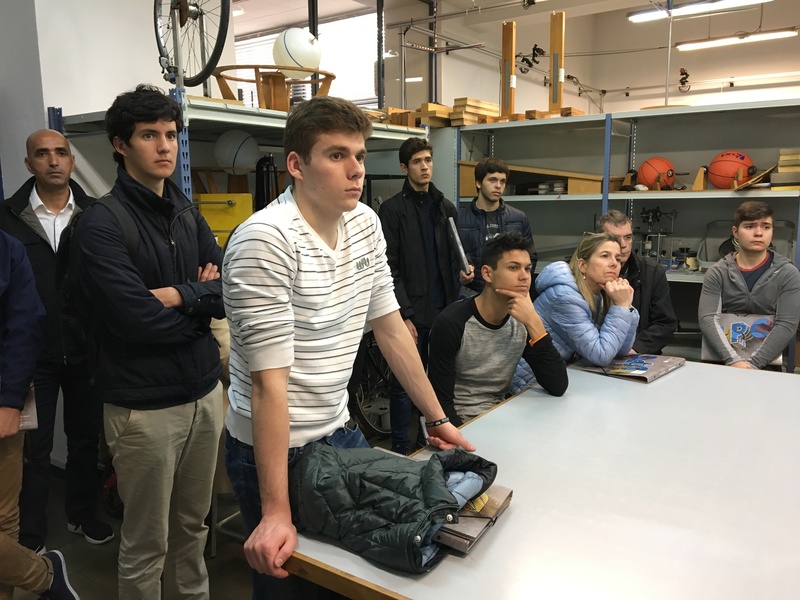 Several workshops, visits to laboratories, demonstrations, exhibitions and conferences were organized within this context. 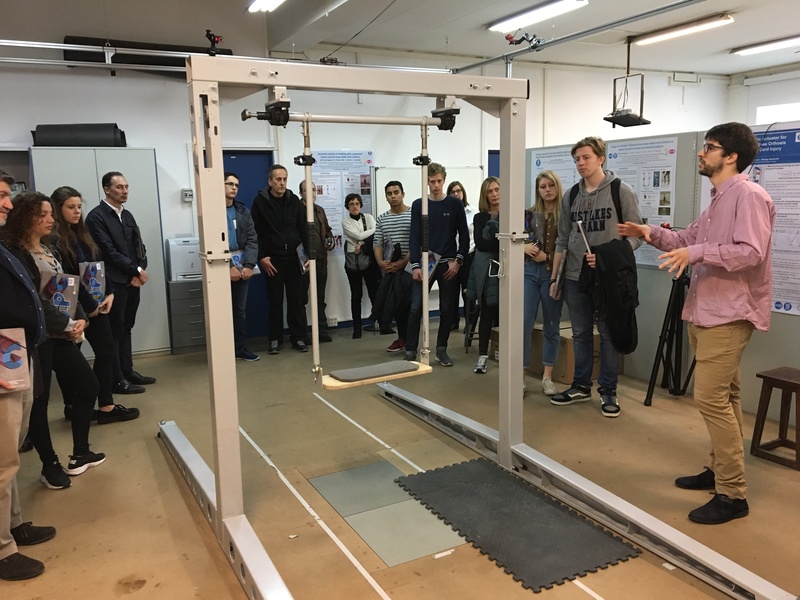 The BIOMEC Lab member Rosa Pàmies showed the Motion Analysis Laboratory explaining the main characteristics of the Lab equipment, and performed some tests with the secondary school visitors. 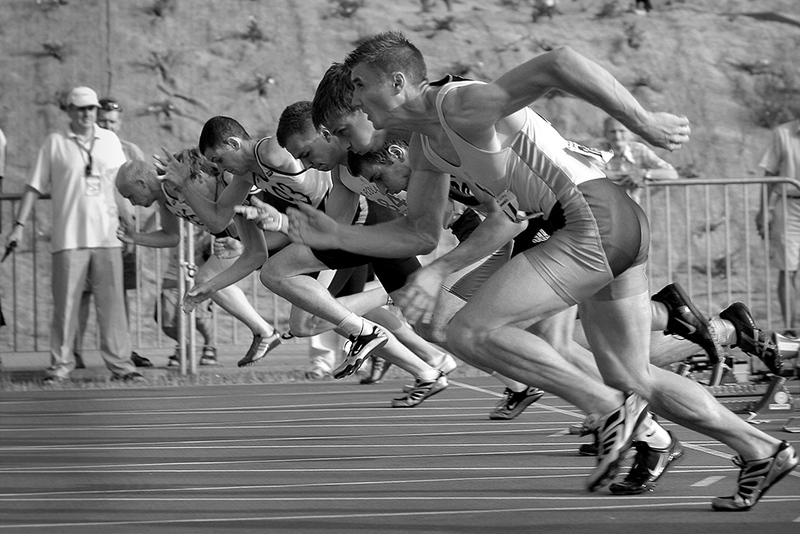 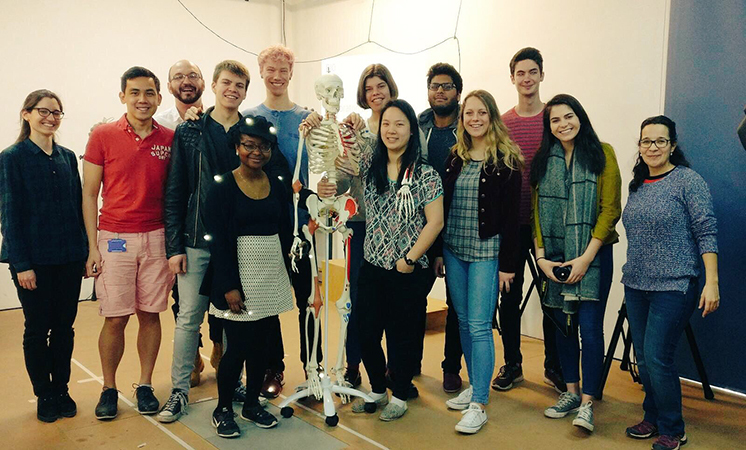 On March 28th a group of students from the University of Cambridge visited the BIOMEC Motion Analysis Lab. 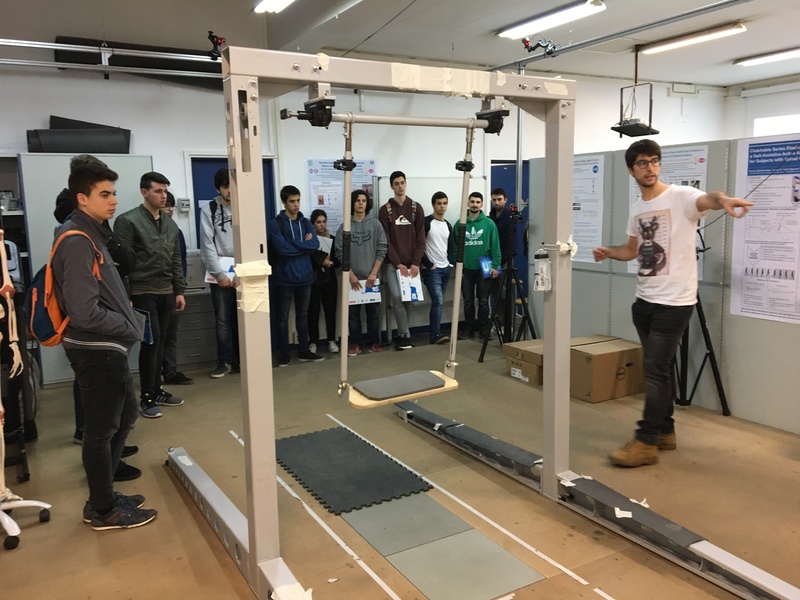 BIOMEC members Rosa Pàmies and Míriam Febrer were responsible for showing the Lab facilities and performed a motion analysis demonstration.